This course is sold off-site by National Federation of Personal Trainers (NFPT). THIS MEDICAL FITNESS COURSE IS DESIGNED FOR CERTIFIED PERSONAL TRAINERS AND OTHER ALLIED HEALTH PROFESSIONALS, AND IS A GUIDE FOR LEARNING MENTAL AND PHYSICAL EXERCISES TO HELP CLIENTS WITH MULTIPLE SCLEROSIS (MS). It is a common misconception that sufferers of MS should remain inactive, resting and sedentary. In fact, just the opposite is true! Those with MS should be encouraged, active and moving, and you can be the one to help clients with MS reach a better mental and physical place. Take your knowledge to the next level, and learn safe, effective training techniques to positively impact clients with MS. Estimated Time needed to complete this course is 10 hours. This course awards 2.0 NFPT, and 0.6 ACE CECs. 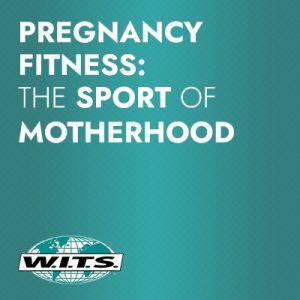 Everyone can TAKE 5% OFF this course when using the code MFEF05 during checkout, BUT MedFit Network members receive an additional 10% off (for a total discount of 15%). In this course we explore the daily struggles faced by people diagnosed with Multiple Sclerosis (MS). This is an advanced level specialty course that teaches the certified personal trainer how to safely work with MS clients in an encouraging and active way. 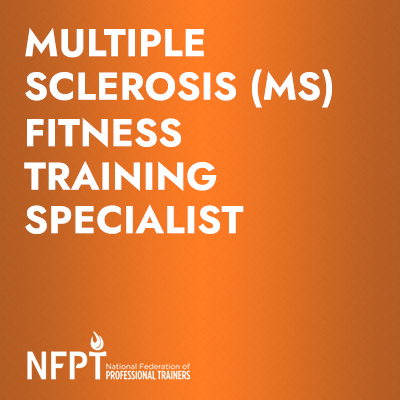 Completing the MS Fitness Training Specialist will give you the knowledge needed to work with, and understand the needs and limitations presented by MS clients. You will be qualified to engage in personal trainer services for clients with MS, and use the full exercise programs that are provided in the manual and video that comes with this course. Those diagnosed with MS often feel hopeless as this disease presents symptoms that can often feel debilitating and physically and mentally exhausting. But there is hope through wellness and training techniques that will improve the quality of life for those struggling with this disease – and YOU can be the catalyst for change in the lives of MS clients! David Lyons, author of this course and Founder of the MS Fitness Challenge, knows these struggles firsthand and will help you to help others through the knowledge and exercise education that are presented in this text. 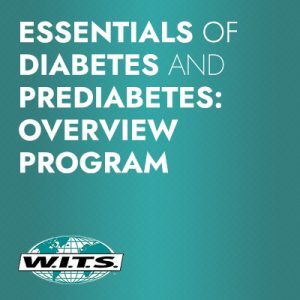 You will receive continuing education credits for this course, but, more than that, you gain the understanding of what a MS client is going through and how you can support their desire to live a happy, healthier life. If you are a certified personal trainer or allied health professional, then this course is a great stepping stone to understanding what it will take to train clients with MS. Some MS patients are under the impression that they should remain inactive because it helps with fatigue and speeds recovery – wrong! Exercise after an MS diagnosis is extremely helpful for one’s overall well-being. Learn to improve the quality of a MS client’s life through specific types of exercises for both physical and mental wellness. This is an Advanced Specialty Continuing Education Course for those with an existing fitness related background. This course lays the groundwork for you to take the next step in making MS clients part of your personal training business. After completing this course, you receive a MS Fitness Training Specialist title and credential. Understand symptoms and various limitations associated with MS. Understand the current treatments for symptoms associated with MS. Describe how Multiple Sclerosis is diagnosed. Recognize the importance of mental fitness and emotional implications. Ability to identify different nutritional options for your MS clients. Implement the basic exercises that should be in a fitness routine for MS clients. Design safe and effective workout regimen with MS limitations in mind.